Buy Tickets to the Belly-Off & Gala Show! The Saturday Gala Show featuring Bellydance Superstar, Sherena of Ohio! Join us in Lawrenceville for a Bellydance Gala Show featuring Sherena and many of the region’s talented dancers. Also featuring the Belly rocking tunes of Ishtar! Admission is $12 online and $15 at the door. Children under 12 are free. 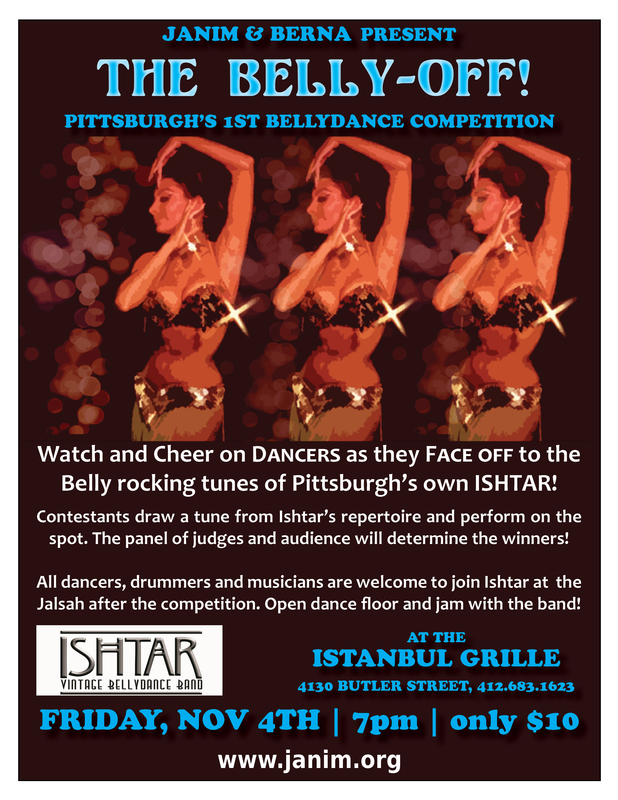 Join us as we cheer on our local and regional dancers in an exciting evening of Belly-rocking tunes provided by Pittsburgh’s very own Ishtar! Admission to the show is $10! Tickets available at the door! Next PostNext Sassy Ruffled Black Egyptian Bellydance – SOLD!